Red carpet fashion show for the opening ceremony of the 16th Busan International Film Festival on Thursday night. The annual event in South Korea has officially changed its name from Pusan International Film Festival (to Busan …) to inline with standardised Korean-English translation. Image by Newsen [Kr]. Celebrities in this photo set include So Ji-sub, Han Hyo-joo, Yoo In-na, Kim Ha-neul, Joe Odagiri, Jang Dong-gun, Park Si-yeon, Oh In-hye, Fan Bingbing, Wang Lee-Hom, Hong Soo-ah, Jay Park, Kang Hye-jung, Min Hyo-rin, Kim Min-joon, Kim So-yeon, Koo Hye-sun, Nam Sang-mi, Lee Yoon-ji, Hwang Woo Seul-hye, Kim Joo-hyuk, Kim Sun-ah, Kim Ji-woo, Sung Yuri, Choi Daniel, and Kim Sae-ron sisters etc. 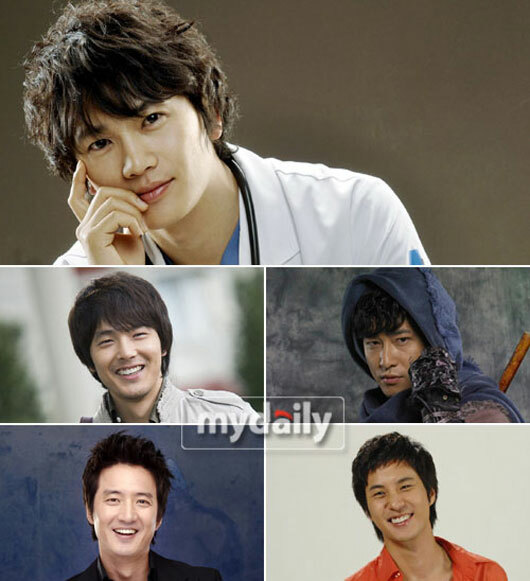 A Korean magazine has picked the most popular Korean drama characters in the first half of 2008. Actor Ji Sung and actress Han Ji-min top the list with their roles in New Heart and Yi San respectively. Photos from the red carpet of the 44th Korean Baeksang Arts Awards, presented in Seoul on April 24, 2008. Images by Edaily [Kr]. Winners of the 44th (Korean) Baeksang Arts Awards, presented in Seoul on April 24. Check the red carpet photos here and here. Fan-made music video for If (만약에) by Taeyeon of pop group Girls’ Generation – an OST for Korean drama Hong Gil Dong, starring Kang Ji-hwan and Sung Yuri etc. Great song. Not really a fan of Girls’ Generation, but loving Taeyeon’s voice here… it’s subtle and pretty unique, and she hits the high notes pretty well.